Who is the Melkite Greek Catholic Church? "The Melkites, or Byzantine rite Catholics of Middle Eastern origin, are the descendants of the early Christians of Antioch (Syria). Christianity was established in this area of the Middle East by St. Peter before he traveled on to the imperial city of Rome. In the 5th century, there arose some teachers who said that Christ was not truly God and truly man as well. They would not accept the teaching of the Catholic Church as defined by the Council of Chalcedon (451A.D.) Those in the Middle East who did accept the decision of Chalcedon followed the lead of the Byzantine emperor and were dubbed Melkites or King’s Men from the Aramaic word “melek” meaning King." “Eastern Catholic” refers to the autonomous, self-governing Catholic Churches that have their roots in the Christian East. They are equal to Roman (Latin Rite) Catholics and are in full communion with the Holy Father, the Pope. Saint John Paul II taught in Orientale Lumen that the “ancient tradition of the Eastern Churches is an integral part of the heritage of Christ's Church”. Eastern Catholics include all those Eastern Christians (both Byzantine and non-Byzantine). Examples of non-Byzantine Eastern Catholic include Maronite Catholics and Chaldean Catholics. “Greek Catholic” and “Byzantine Catholic” are used interchangeably. “Greek Catholic” was originally applied to those Orthodox Christians in both central and eastern Europe and the Middle East who retained their Orthodox liturgy and theology but who restored full communion with Rome, which was lost in the centuries after A.D. 1054. The term “Greek” referred to the liturgy and theology of these Churches and the term “Catholic” signified their full communion with Rome. In the middle twentieth century (especially in the United States) it was thought that the term was confusing as it suggested Greek ethnicity, so the term “Byzantine Catholic” came into use, with the term “Byzantine” intended to be a non-ethnic counterpart of “Roman." “Melkite Catholics” are those Greek or Byzantine Catholic Churches that have their origins in the Middle East. “Melkite” is from the Syriac word “malka” (“King”). It was originally a pejorative term for all Middle-Eastern Christians who accepted the teachings of the Council of Calcedon (A.D. 451) and the Byzantine Emperor. Over time it was retained only by Eastern Catholics. Eastern Orthodox do not use the term. 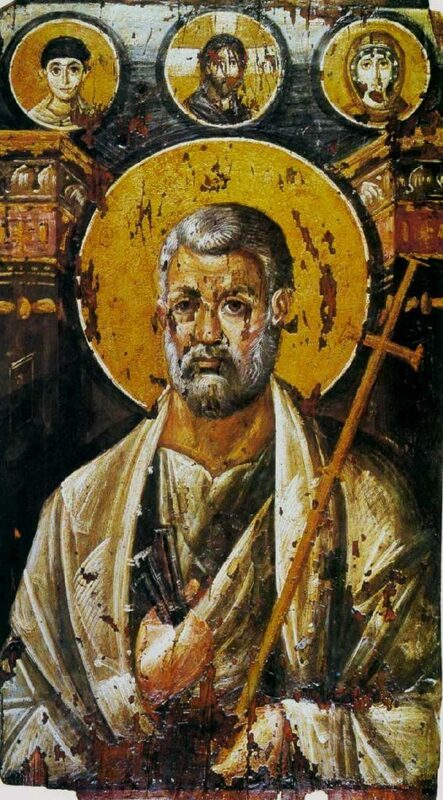 Melkites trace their history to the first century AD, to the early Christians of Antioch (in present day Turkey).